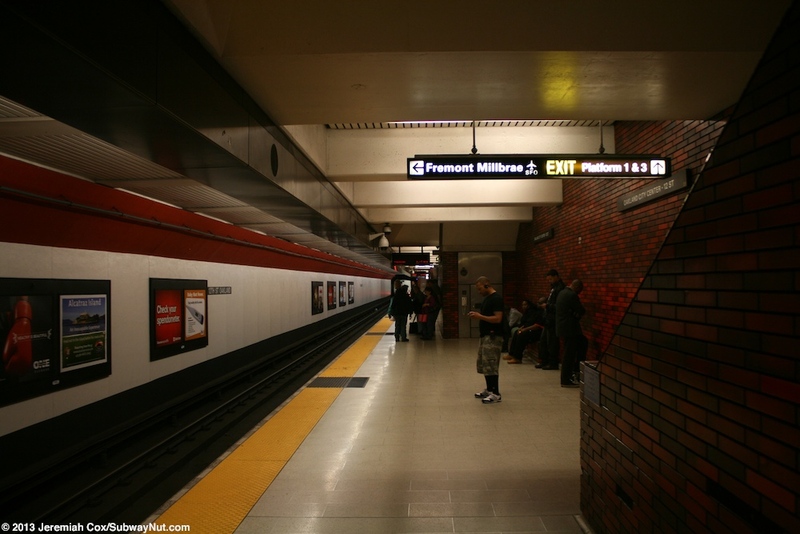 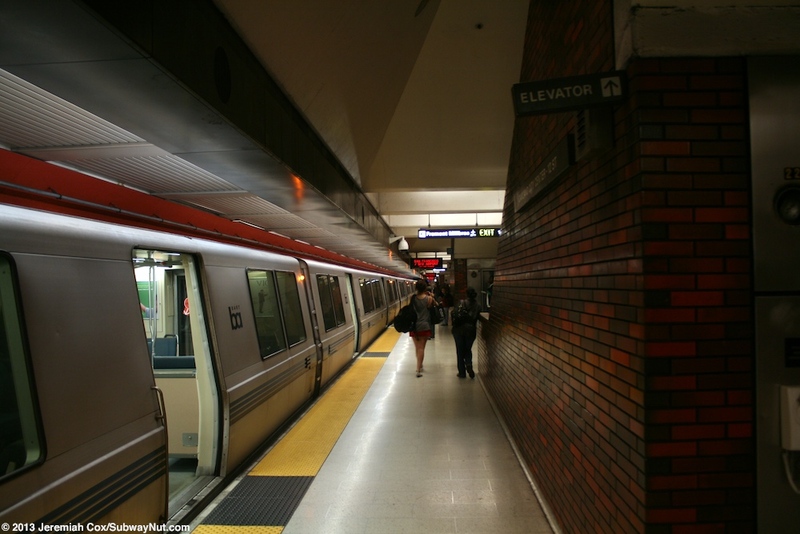 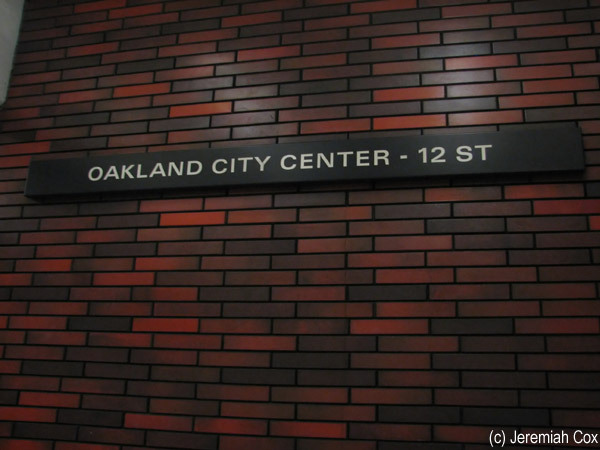 Oakland City Center — 12 Street is a stop located in the underground subway beneath Broadway in Downtown Oakland. 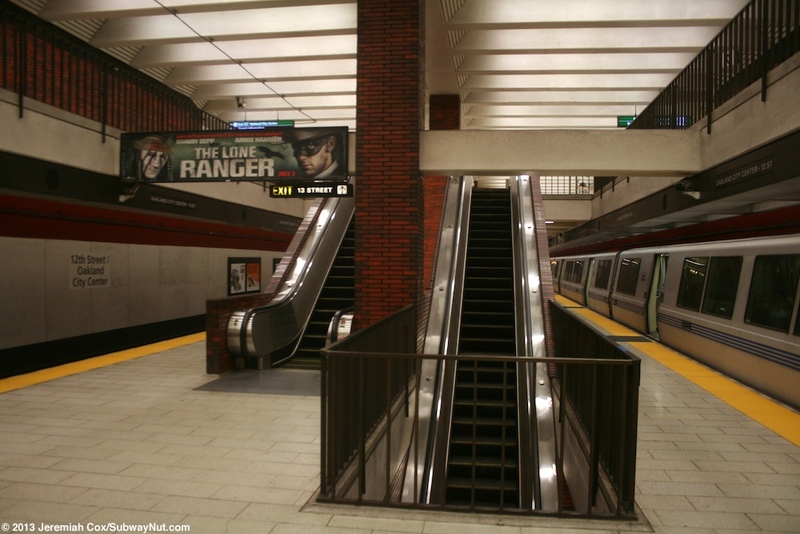 The station has three tracks on two levels. 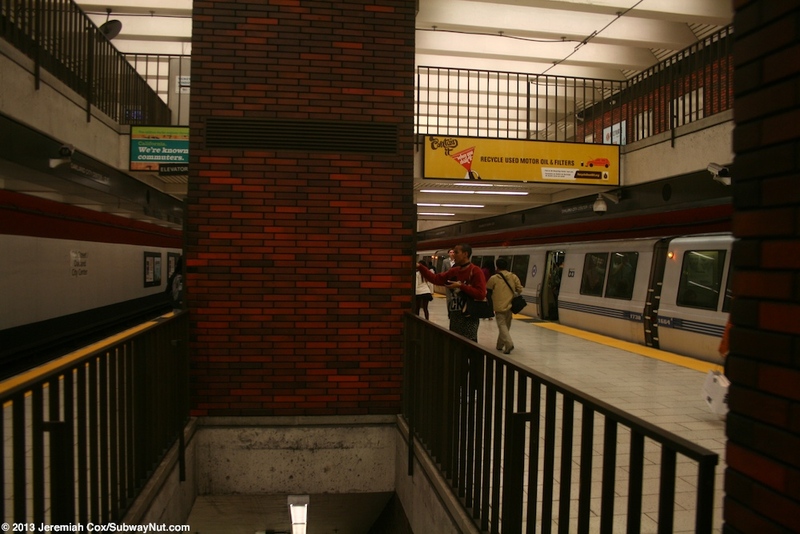 Originally the designs called for 4 tracks to keep trains on the Fremont-Richmond Line separated from those on the San Francisco to Concord Line but this design was cut to one track on the lower level so trains for Fremont and San Francisco all share one track with one island platform on the lower level. 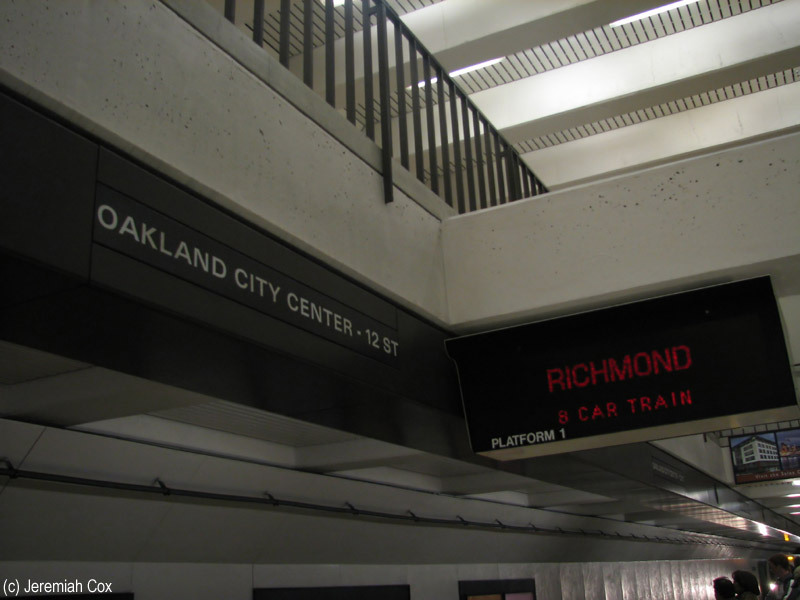 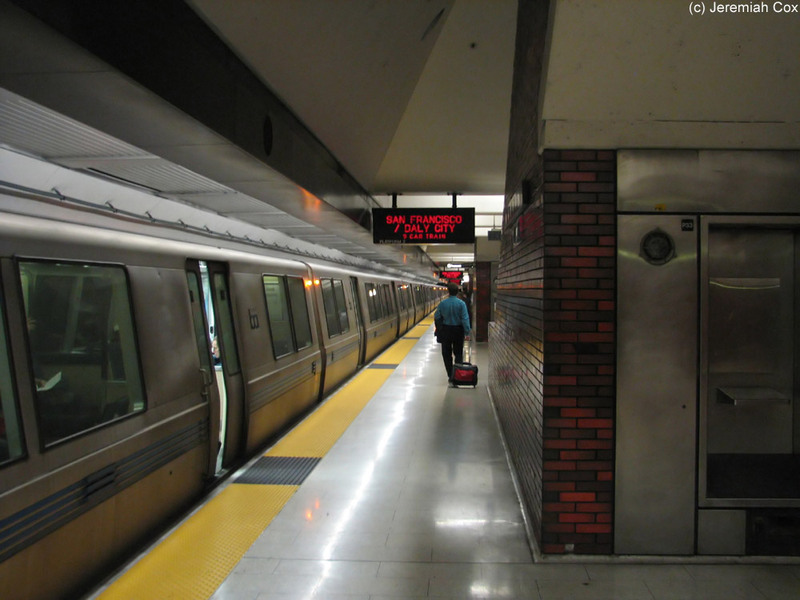 On the upper level is an island platform for the two southbound tracks, one used by Pittsburg/Bay Point trains and the other for Richmond-bound trains. 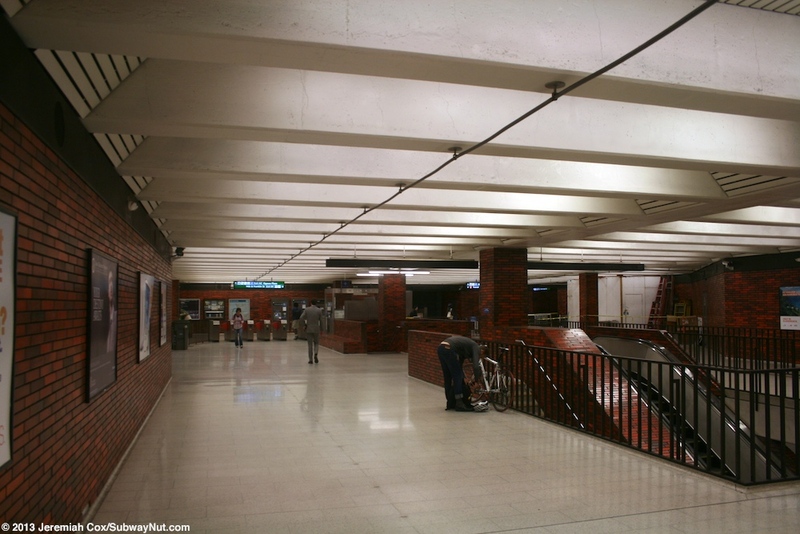 On top of all this is a full length mezzanine. 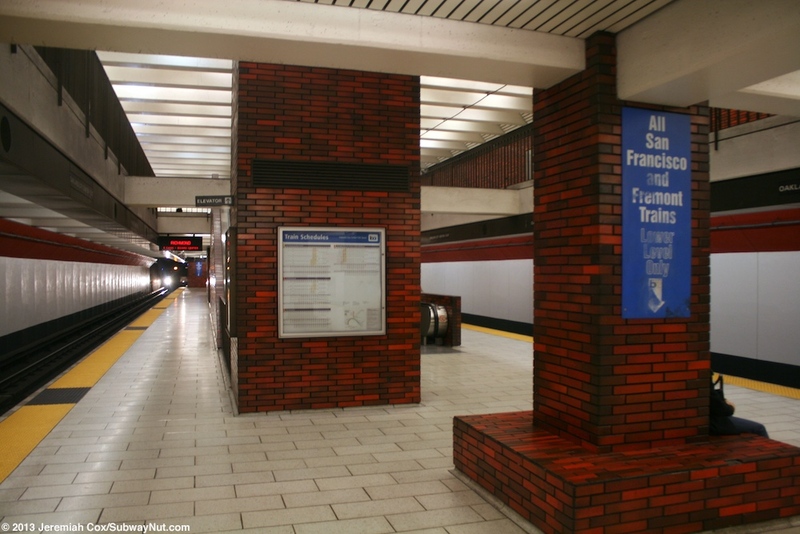 The color pallet of the station is a dark red brick look with a dark red line above the walls of all the platforms. 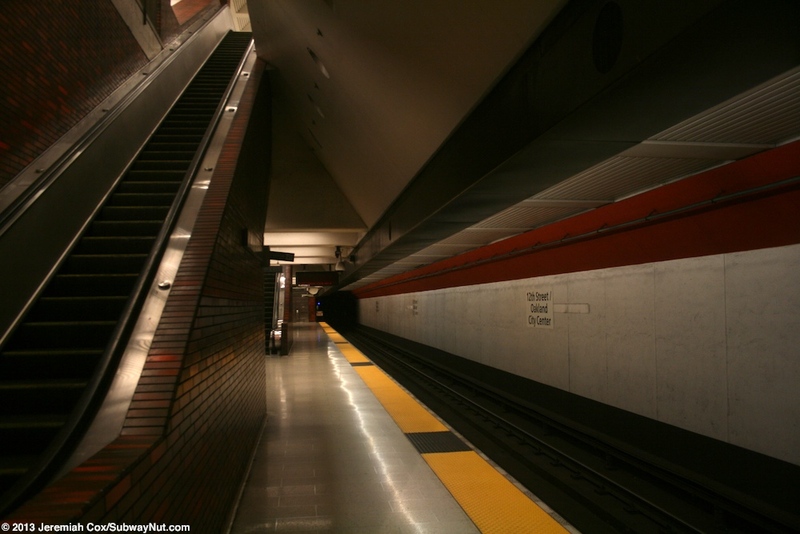 The pillars along the platforms and surrounding the escalators and staircases are all painted red. 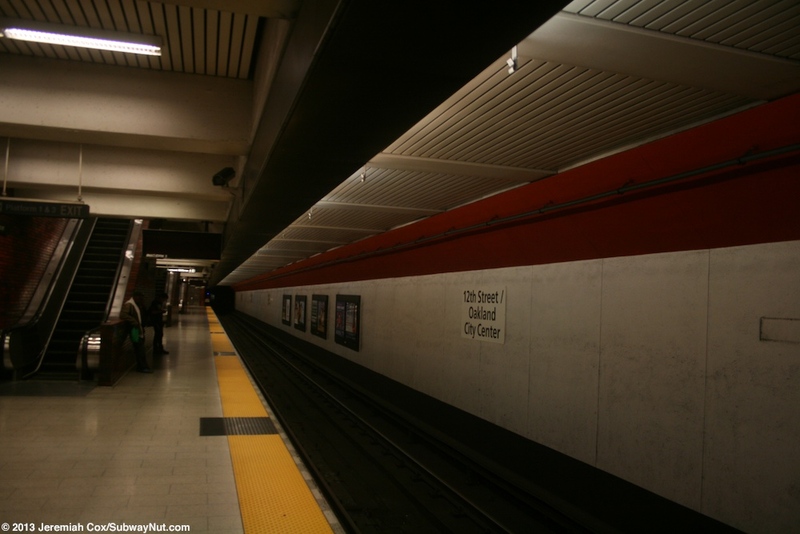 There is a dark red stripe painted painted on the platform walls. 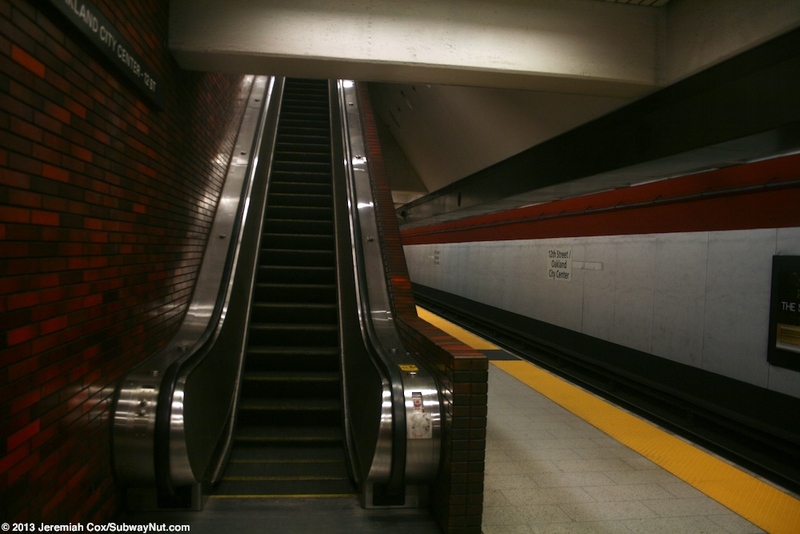 There are a couple of sets of escalators directly from the lower level bypassing a landing at the middle island platform, straight to the upper level mezzanine. 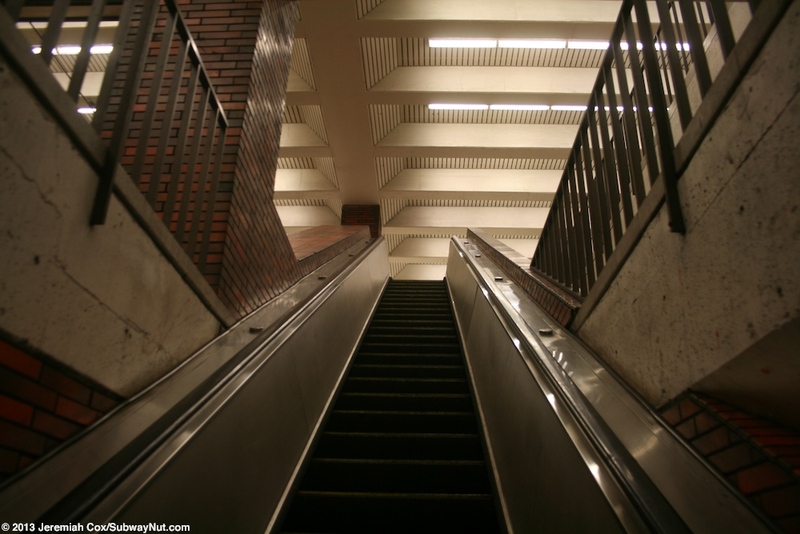 Staircases connect all three levels. 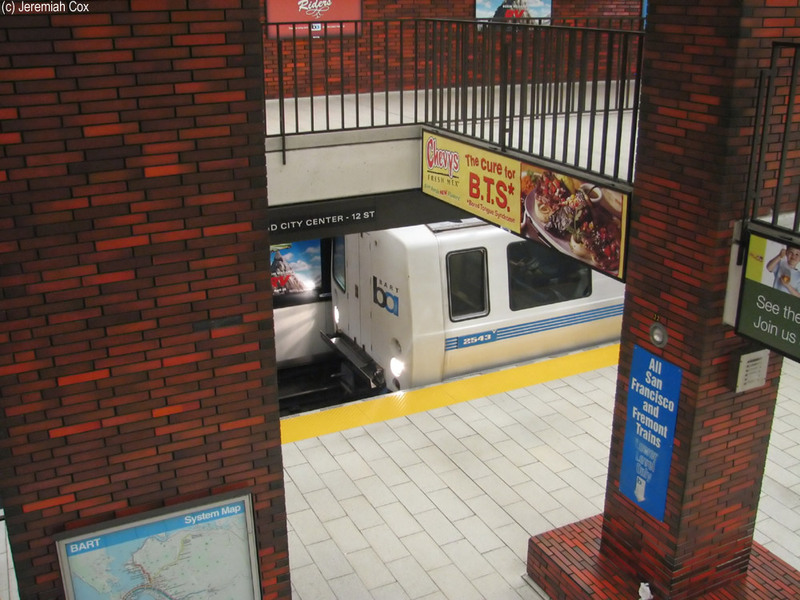 The elevator is at the southern end of the station. 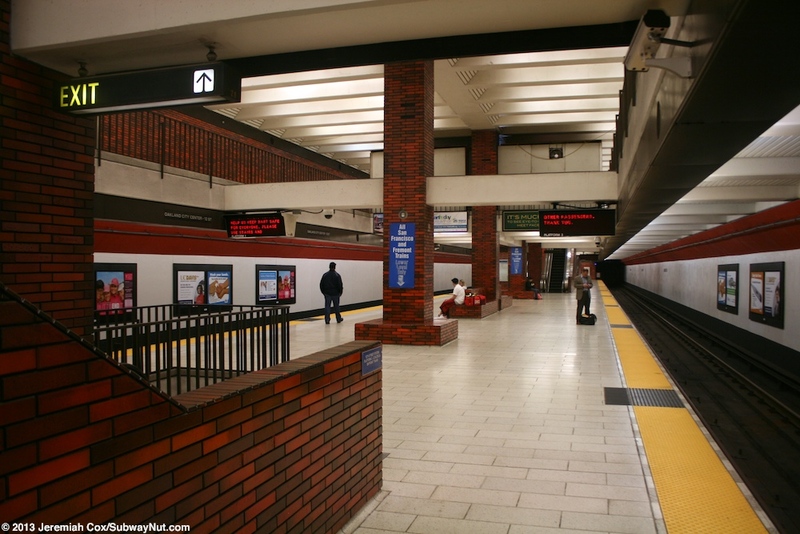 To leave the station there are four separate banks of fare gates along the full-length mezzanine within fare control. 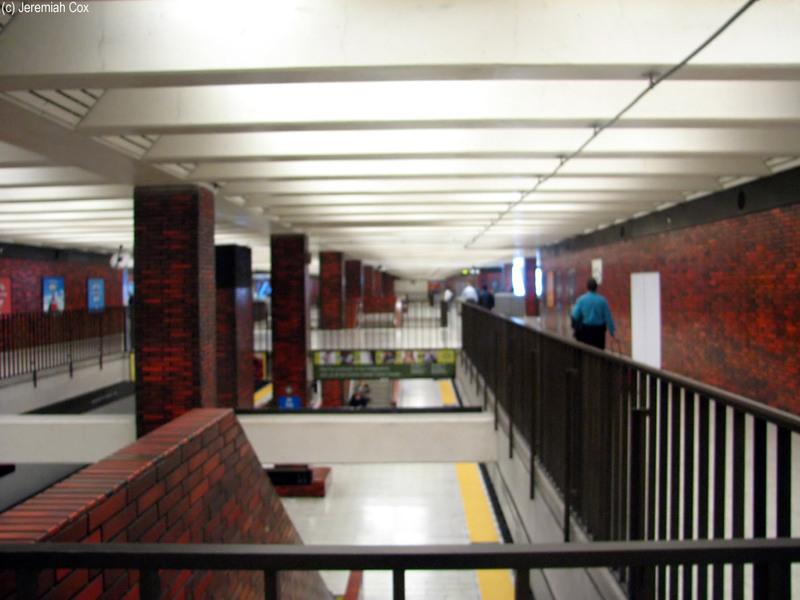 The southern end of the platform has a fare control area that leads out to combined street stairs/an escalator at the NE and NW corners of 11th Street & Broadway. 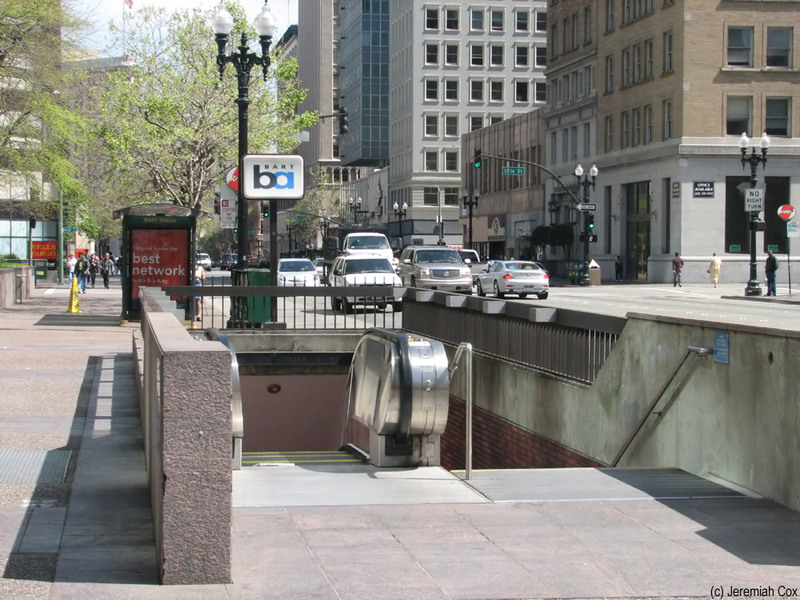 There is also a street elevator. 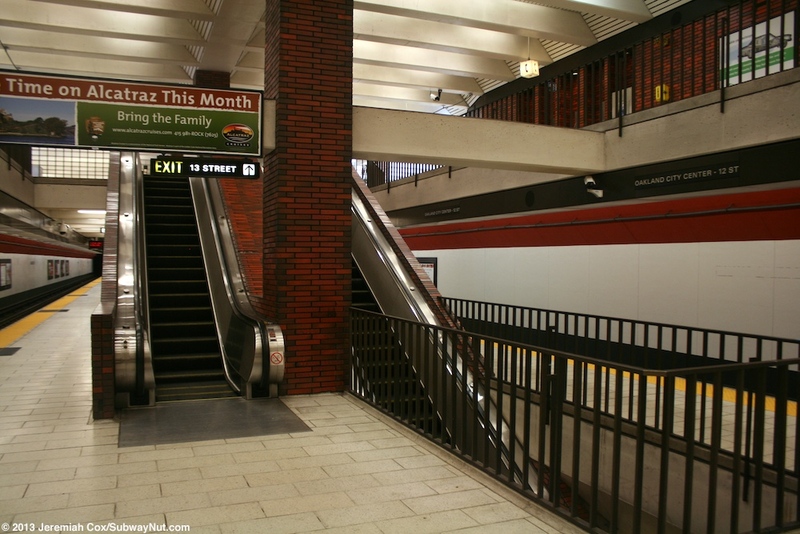 In the middle of the mezzanine one fare control area leads to a streetstair/escalator up to the SW corner of Broadway and 13th Streets with an entrance directly into the Oakland City Center (an office, shopping and hotel complex). 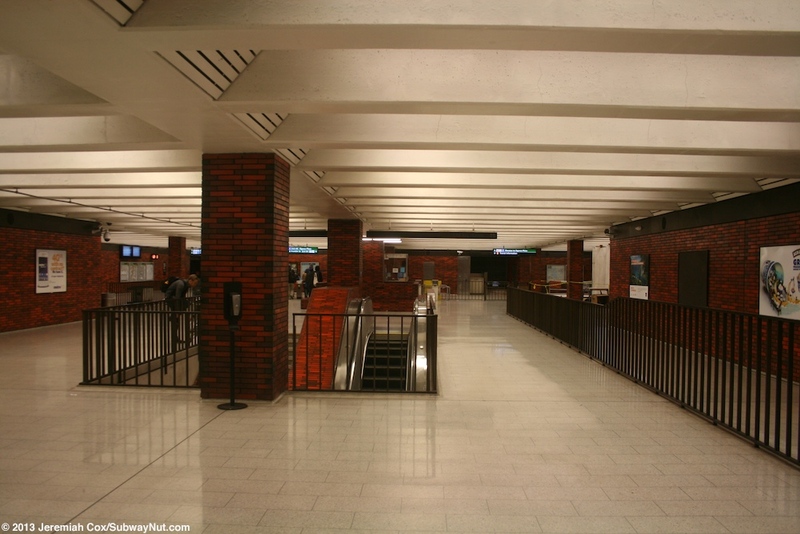 Across from it is another bank of fare gates with streetstairs/escalators up to the NE and SE corners of Broadway and 13th Street. 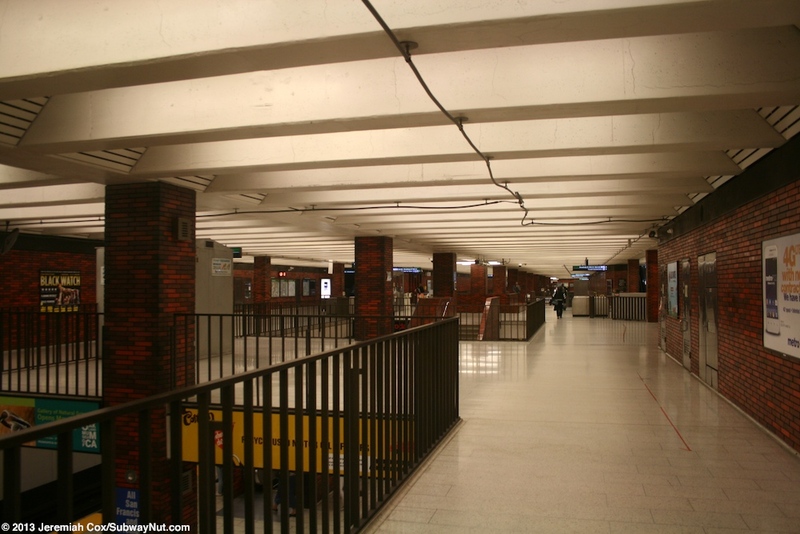 At the northern end of the platform is the final bank of fare gates to a staircase/up escalator at the NE corner of 14th Street & Broadway, plus a plaza entrance across the street that includes an additional street elevator inside Ogawa Plaza at the NW corner.